Cape Town is a South African coastal gem with more than 3 million people calling it home. 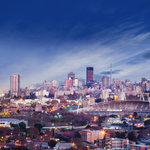 The city of Cape Town is a vibrant destination known for its landmarks such as Table Mountain and Cape Point. It is home to many amazing attractions, including the V&A Waterfront, Kirstenbosch National Botanical Gardens and Chapman’s Peak. Get ready to venture to this beautiful destination with cheap kulula flights to Cape Town! 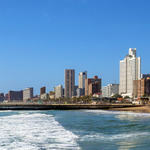 The city is home to Cape Town International Airport (CPT), which is a 15-minute drive from the city’s centre. Book cheap Kulula flights to Cape Town at Travelstart today! You will need a South African ID or passport when flying to Cape Town. There are many attractions in and around Cape Town, which include Boulders Beach, Bo-Kaap and the Garden Route.